One of Marvel's most unique anti-heroes, Deadpool is a character whose origins are shrouded in mystery. 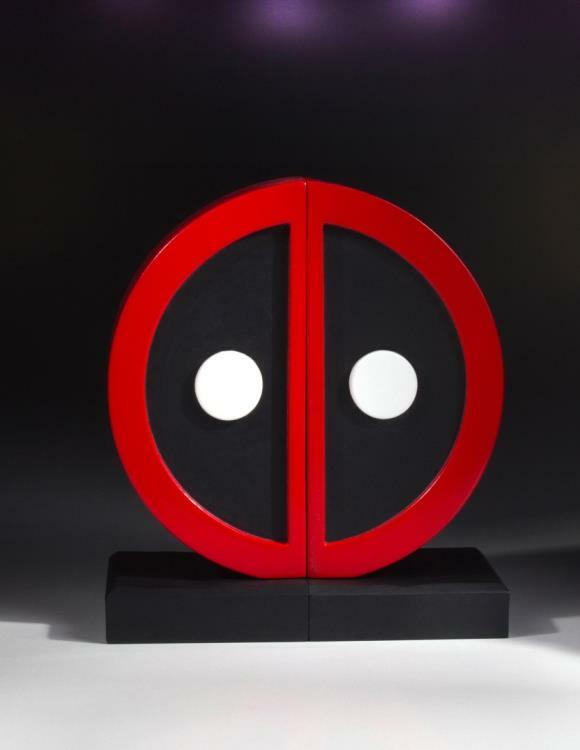 Originally created to be a villain and foil to Cable and The New Mutants (later X-Force), then morphing into the current devil-may-care attitude and flamboyant, ultraviolent tongue-in-cheek, fourth-wall breaking character we know today, has caused him to soar in popularity with readers of all ages. 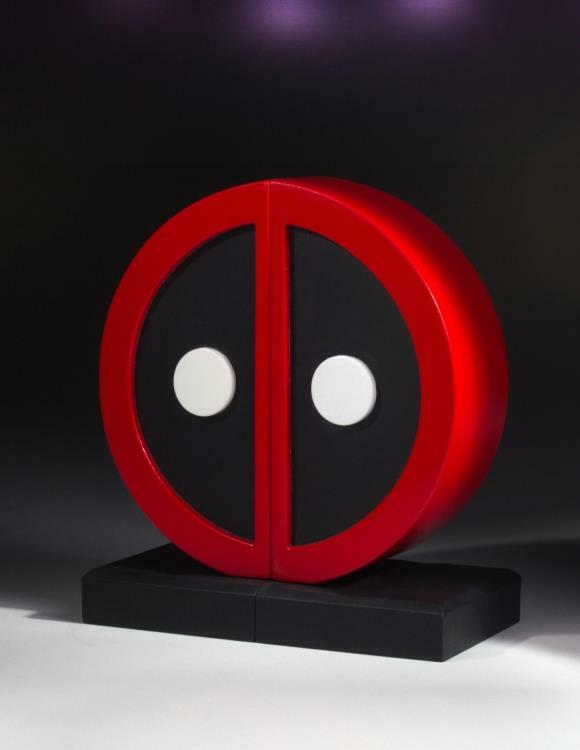 This garnered the “merc with the mouth” his own series, which is known for its own original style blending action and dark comedy, as well as numerous spin-off books and guest appearances throughout the Marvel Universe and now a sequel to his own hit movie! Where Deadpool goes, chaos and wisecracks follow. 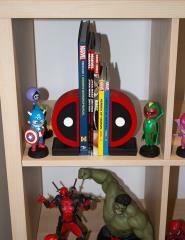 Two things we know about Deadpool is that he LOVES chimichangas and he HATES messy bookshelves. 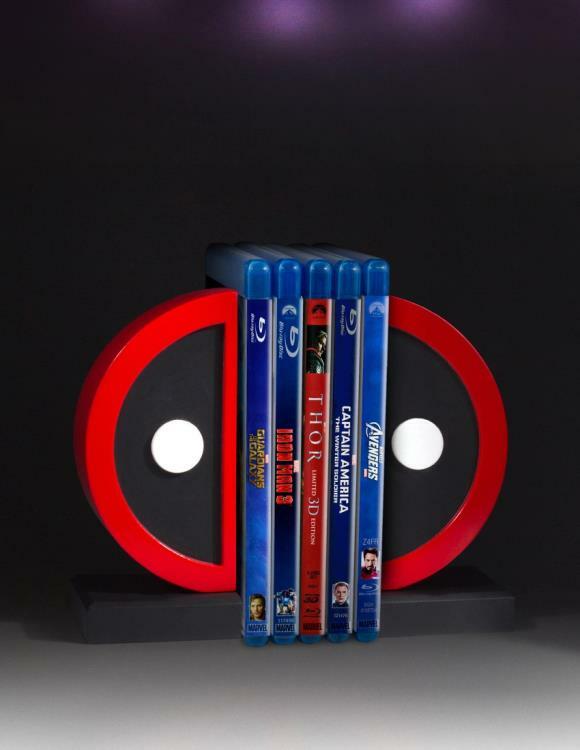 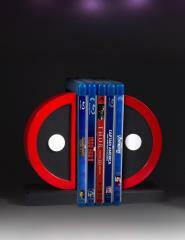 With that in mind, Gentle Giant LTD has expanded their popular line of pop culture bookends to include the new Deadpool logo bookends! 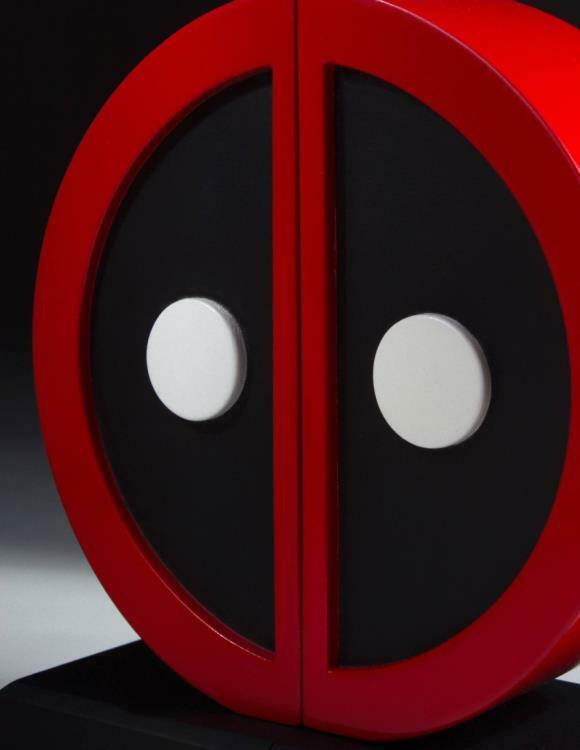 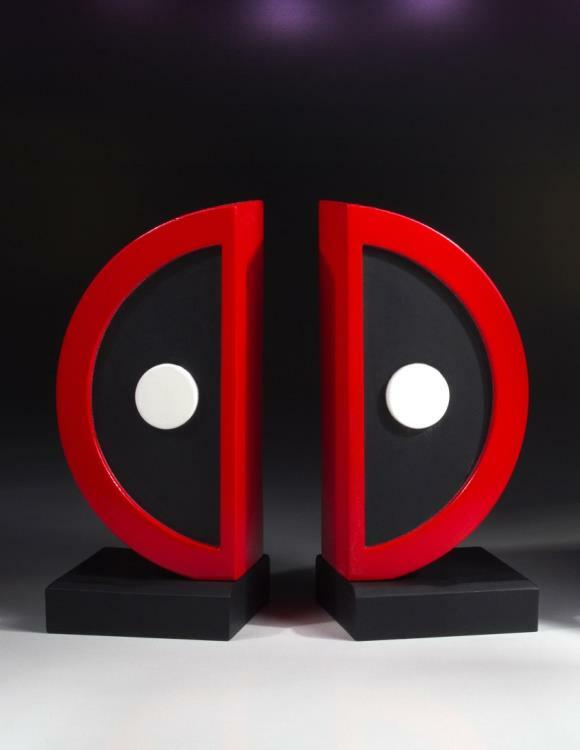 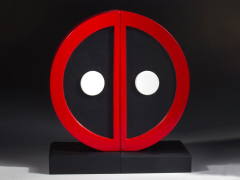 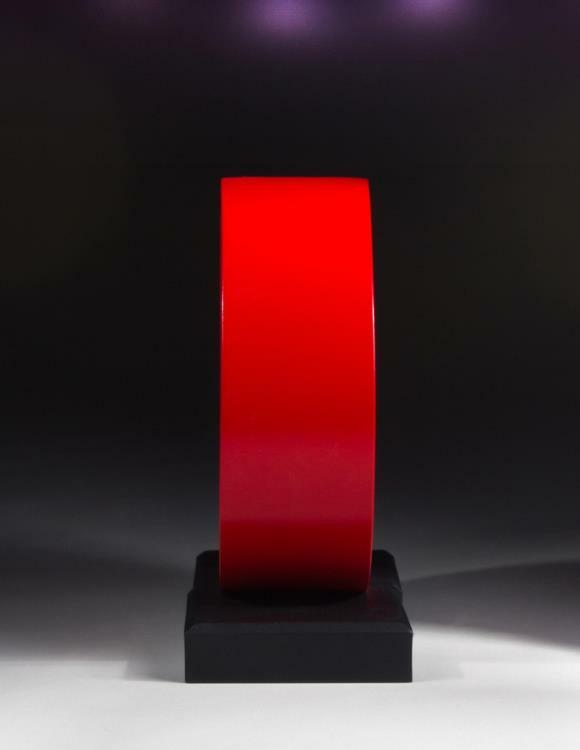 Crafted by Gentle Giant LTD the hand painted Deadpool logo bookends are manufactured using high quality polystone and are felt-lined to grip and keep your books in pristine condition. 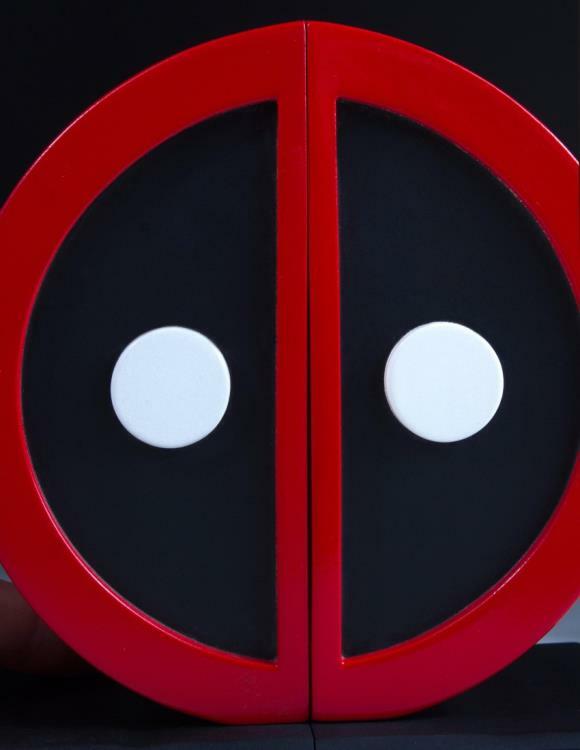 These 6” tall, weighted bookends are perfect for holding your comics, graphic novels, books, love letters to Spider-Man, DVDs or video games in place OR for simply displaying them together as the iconic Deadpool logo!